If are photographing and find a difference in colour from shot to shot then you need to get off AWB or auto white balance. White balance or colour balance comes from a reference point of white. Cameras are a bit different form our brains. Our brain has a beautiful system for correcting of colour cast which our cameras don't have. If you look at an image of a red rose no matter what the lighting conditions your brain will correct the colour cast and you will see a red rose. However, if you show the camera the rose depending on the surrounding and the kind of light the red rose may actually have a different colour cast, Eg : if you shot the photo of the rose in the forest where the light is coming off a lot of green leaves then the rose will actually have greenish ting on it. The reason for this is that your camera on AWB looks at the scene and determines white balance. AWB does a good job for the most part, however, it calculates a white balance every single time the image is taken. So if the composition changes, the light is different, the camera will calculate a different white balance for the image. The result is you won't get consistency of colour. How do solve this problem would be your question now. To solve this problem you use a reference point. A place which you know shows the correct colours and then later you can match it to that. This can be done in post processing and you can fix white balance if you shoot raw. If you shoot jpeg this cant be fixed. So you need to pick the white point and this is done picking a white balance by using a grey card. Alternatively you can pick the white balance which come as pre-sets on your camera. This would be helpful even if you shoot RAW. It will save you time in post processing. 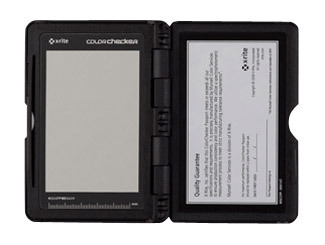 If you want to take it to the next level then you can use ColorChecker Passport from X-Rite. They also have a plugin in for and using algorithms will fix the colour problem. This will bring about a consistancy of colour in your photographs right from what you see with your eyes to what your camera sees and what you finally print. It's something I use in my shoots as well which is why today's post got a bid delayed. Do check it out. There are also something about Colour temperature, a guy called Kelvin and calibrating your monitor and printers . More on that in another blog post.